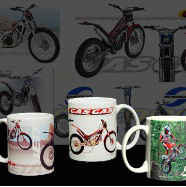 Price is for unbranded mugs. Price is for unbranded travel mug. Setup charge - $75.00 (text) / $95.00 (text & logo). 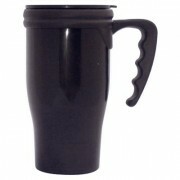 Pricing is for 450ml Plastic Thermo Travel Mug. Print price for pad print. Screen print add $0.35 per unit. 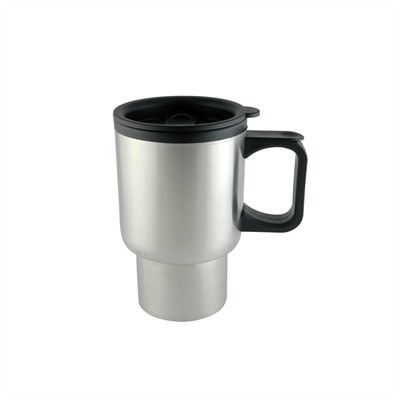 Our 16oz Thermo Travel Mug is a traditional thermo mug with a large handle and is easy to drink from. It has a large printing space which makes this a great option for a branded travel mug for promotional giveaways, gifts or promotional merchandise. Thermo mugs are always well accepted and a promotional thermo mug certainly won’t be turned down by those who receive one. 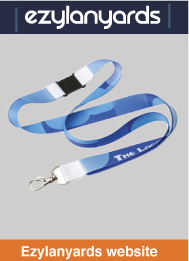 Gift one with some great coffee or sell them in your café or deli. This thermo mug is a great size promotional mug, and due to the size, you have the option of a pad print, screen print or engraving. 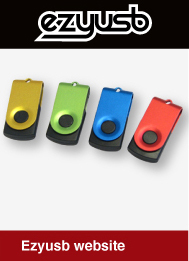 Which option you choose will likely depend on the promotional use – a thermo mug being sold as promotional merchandise will look better with a screen or pad print, whereas a thermo mug being given as part of a corporate gift will look more personalised with engraving. 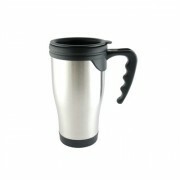 If you need a personalised thermo travel mug or a promotional thermo mug, our 16oz Thermo is a great choice.